This KL Poke Heaven Has A Menu Exclusively Curated By Nobu's Former Executive Chef! Editor’s Note: This article has been updated as of 2.48pm, January 24th, 2019. 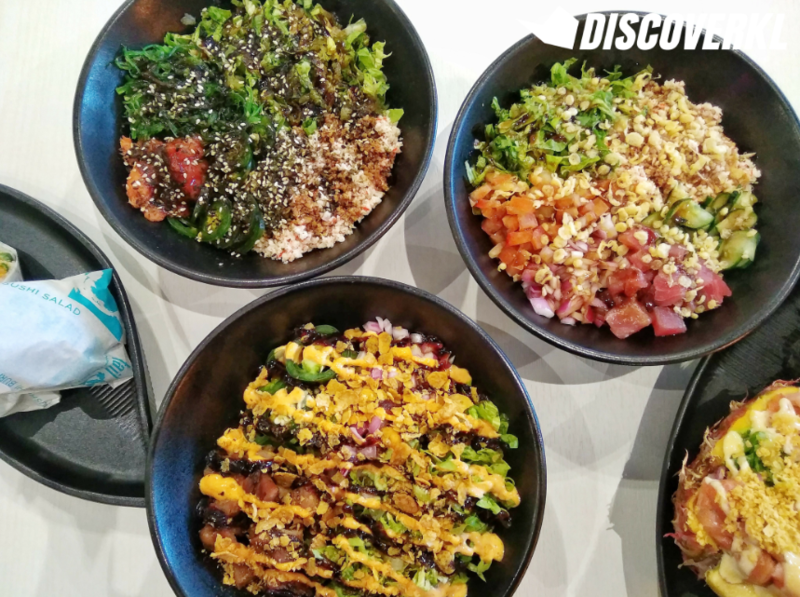 The poke bowl wave may be slowing down in KL but one new poke joint begs to differ. 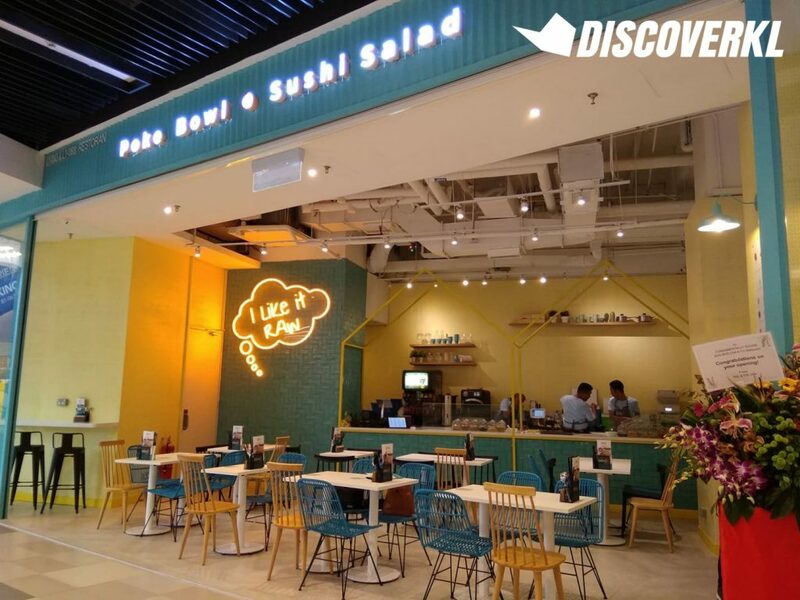 Tail & Fin Malaysia just officially launched in KL and it serves more than just poke bowls. That in itself is already a big plus considering how most poke bowl joints specialise in poke bowls alone. There are sushi salads, sushi burritos and tacos available to choose from as well. But ultimately what makes this poke joint unique is their collaboration with a renowned chef. 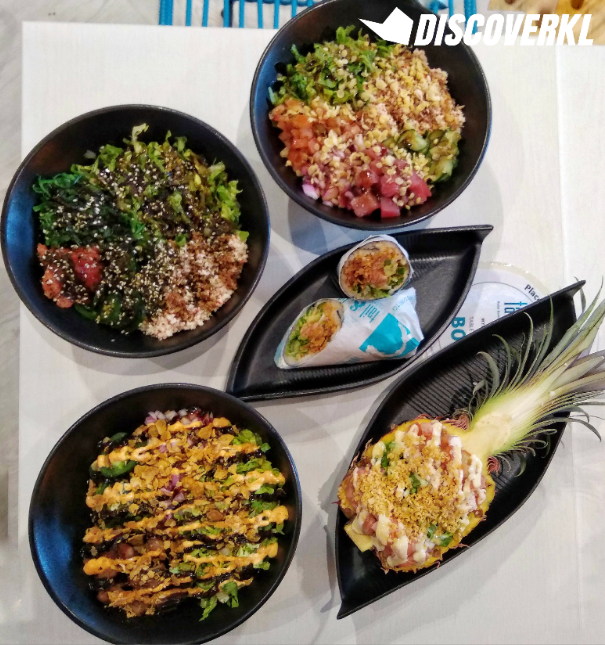 When the DiscoverKL team dropped by recently, Farah of Tail & Fin shared with us that, “Ex-Nobu chef Karu Wedhas came up with all the recipes for Tail & Fin USA”. When Tail & Fin Malaysia bought the franchise from the US, most of the dishes on the menu were retained. In fact, all the local recipes require the approval of the chef. However, a local twist has been introduced, with dishes like Keep Calm & Curry On and The Godfather. What The Health, which is also available at the US branch, has a local twist to it as the sauce used is different, and there’s also the addition of lotus chips, which is regularly used in Asian dishes. The new Tail & Fin outlet in the MyTown shopping centre is decidedly colourful with slogans like “I like it raw” plastered on the walls. Being located right next to IKEA, the intoxicating scent of wood, that is synonymous with IKEA, greeted us first. Once you see the IKEA outlet, turn right and you’ll find the brightly lit Tail & Fin. We settled in nicely and made our orders through Tail & Fin’s POS system menu. This POS system is not unique to only Tail & Fin. It’s also available at all the restaurants under the Great Fun group: which includes The Majapahit, Gajah Mada and Wingstop. This self-service concept helps Tail & Fin keep prices lower. As of now, we can only order dishes off of the menu but soon, we’ll be able to customise our dishes with our preferred ingredients. Our team tried 5 of Tail & Fin’s iconic dishes. 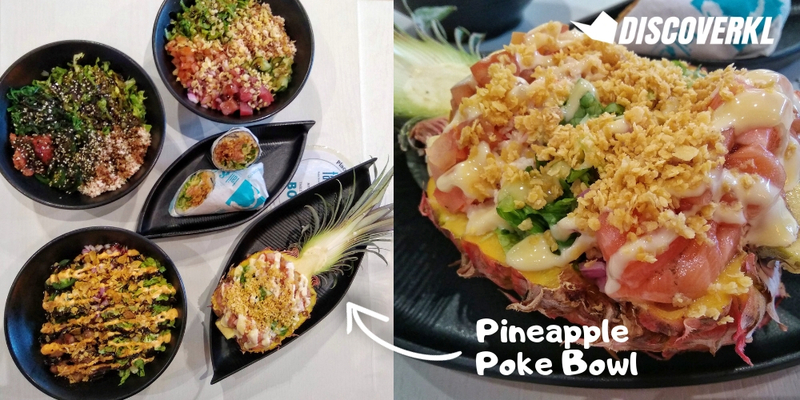 First, we had the Pineapple Poke Bowl (The Omega), priced at RM22.9. The bowl is made out of salmon, surimi crab, Romaine lettuce, tomato, red onion and toasted multigrain. What’s cool is the fact that the ingredients are placed in a hollow pineapple shell. 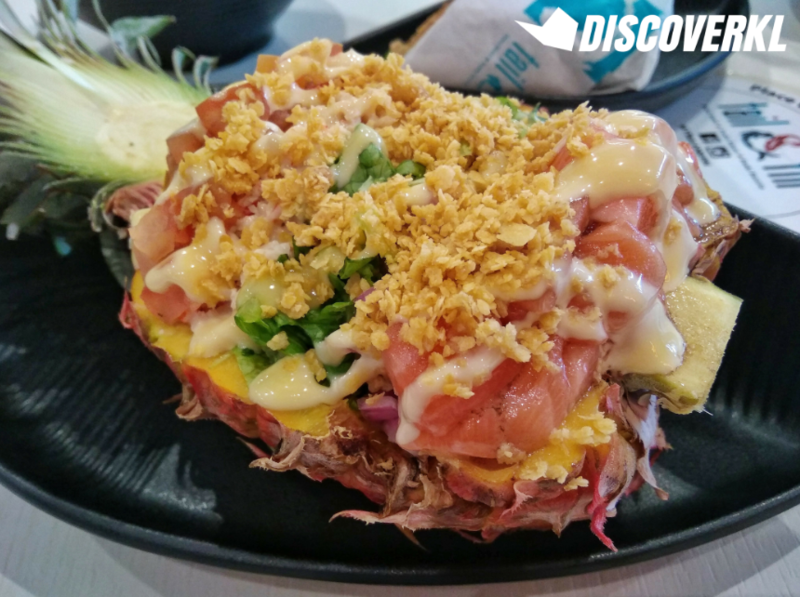 Tucking into the IG-worthy bowl, we found that the Hawaiian dish had a Japanese influence, and you’ll find it in the raw fishes, used as well as the Japanese seaweed salad. We had several other bowls (sans pineapple) too: the It’s Stupid Good poke bowl (RM22.9), Flaming Tuna Sushi Salad (RM20.5) and Angry Bird Poke Bowl (RM16.9). The ingredients used in the bowls are similar: crabstick, greens, red onion and tuna amongst others. We enjoyed the jalapeno, red onion, salmon and tuna for how fresh they were but we’d recommend for you to go easy on the sauce if you’re looking for something that’s a little healthier and light. 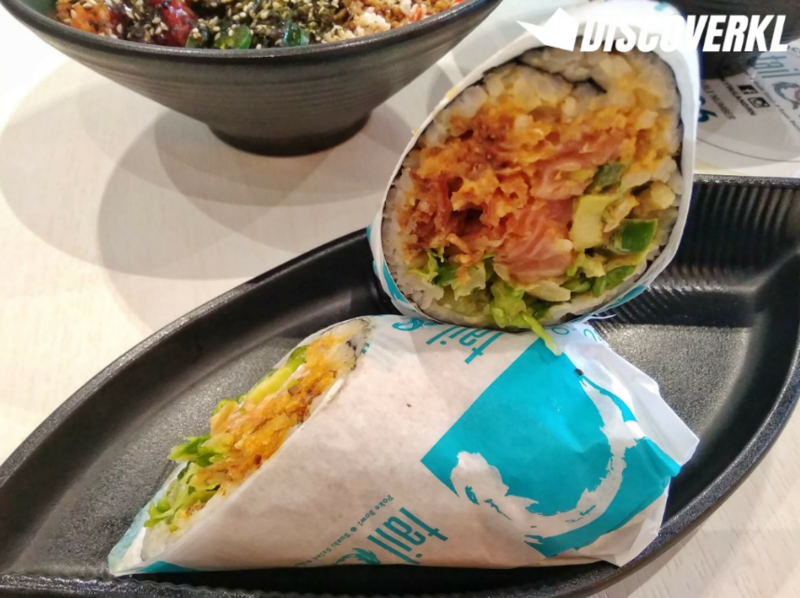 For something that’s a little heartier (and convenient), try the Yo Adrian Sushi Burrito (RM17.9). It comes with salmon, jalapeno, Romaine lettuce, fried string onion, toasted multigrain and chili garlic aioli. Farah shared all ingredients are locally-sourced except for the sauces, which are imported straight from the USA. Tail & Fin is also a pork and alcohol-free restaurant. The dishes we had at Tail & Fin were hearty and the portion size was definitely very generous. The bowls were even large enough to be shared among 2 people. Poke bowls are generally rather healthy and might seem bland for those who are not particularly accustomed to such dishes. But Tail & Fin’s addition of toppings like corn flake, fried string onion and tempura flakes makes it less bland and definitely more interesting and tastier for non healthy-food eaters. There are also vegetarian options available. Tail & Fin will be officially launching its 2nd Malaysian outlet on January 31. It will be located at Nest in The Curve @ Mutiara Damansara. Nest is a co-working space concept with 5 different eateries, one of which is Tail & Fin. Best part is, you can drop by for a meal even if you’re not planning on heading to Nest to work.